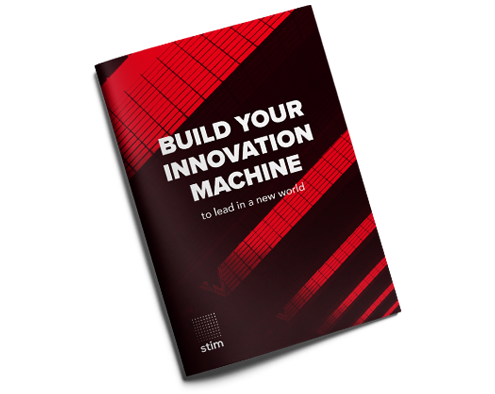 Download our insight "Build your innovation machine to lead in a new world"
The world seems to get faster & fuzzier. Radically new technologies and business models seem to appear every day. It seems impossible to keep up with all of these changes and threats. In this context, companies who grow faster than industry rivals are ones who acquire & leverage more innovation capabilities in order to generate more breakthrough new businesses, thanks to its machine to innovate. What is a machine to innovate? How can it help you reach your innovation goal? Everything is explained in this booklet! Are you ready to fast-track your business towards the future?